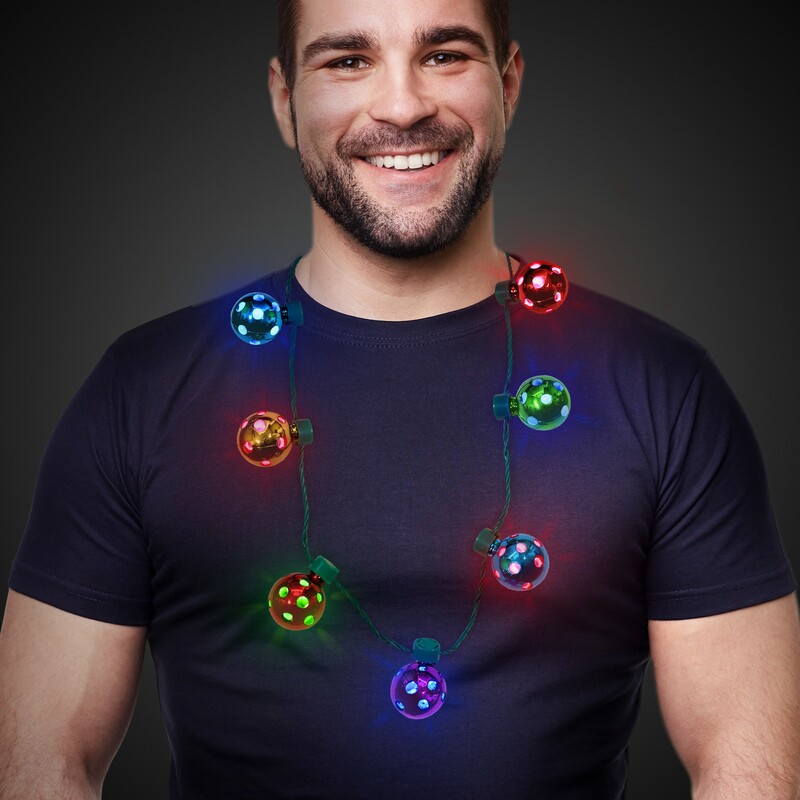 Be the merriest person at the Holiday party with actual sound producing jingle bells that light up! These LED necklaces are the newest thing and sure to make you standout. Connect a few together around the tree or table for a festive Holiday look. Each of the shiny ornaments have either a red or a blue LED light that changes between 7 different functions from morphing to fast flashing to steady on with a push of a button. 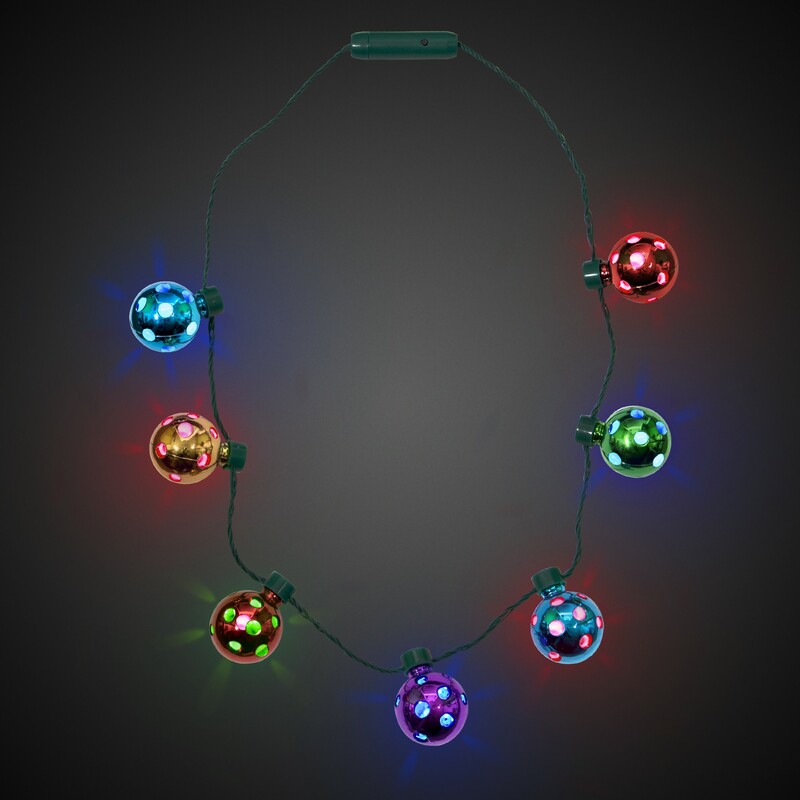 Three of the multicolor balls have a jingle bell. 3 AG13 batteries are included, installed, and replaceable. 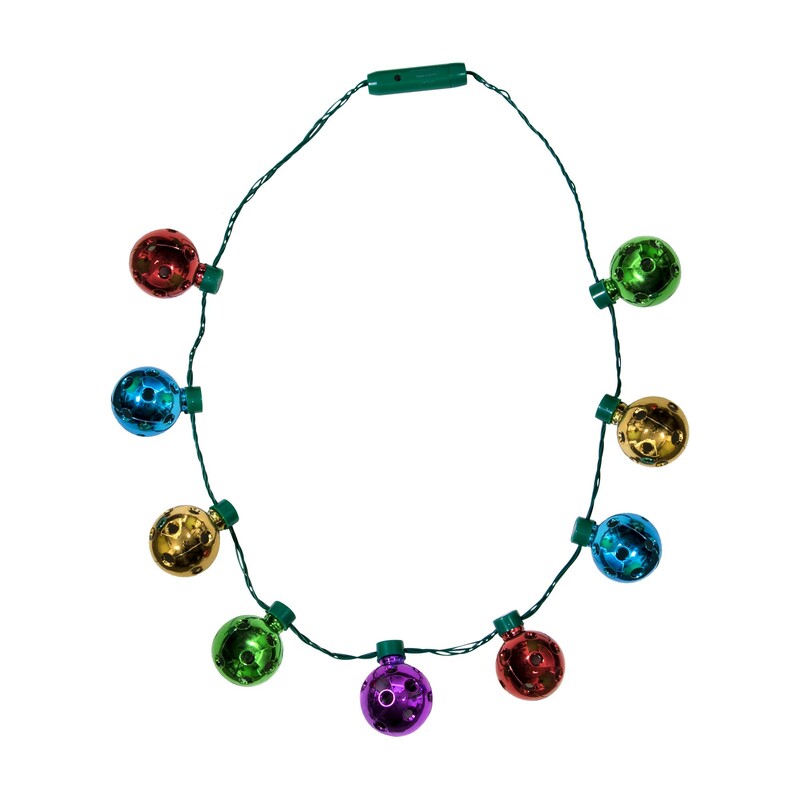 Our bright JingLED Bell Necklace is sure to bring out your inner Christmas and make you the hit of any party!